Our senior management group founded Advantage in 2001, having previously earned successful international reputations at some of the world’s most respected multinationals: Procter & Gamble, Pepsi, Henkel and FritoLay. In addition to our base in Egypt, we have lived and worked in such diverse locations as the US, the UK and the GCC. We have managed brands in the American market and the European market, as well as the markets for the GCC, Africa, the Middle East, Jordan, Morocco, Turkey, Algeria and Tunisia. Our introduction into the Egypt/Middle East market began with the foundation of our successful international reputations  our world-class marketing skills. 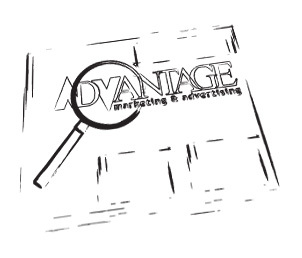 Each partner of Advantage has an average of 20+ years of international marketing and management experience. Accordingly, we first launched our marketing fulfillment and consulting division. As our clients increasingly requested our input on their creative work, we launched our advertising division in mid-2002, offering comprehensive advertising services to all of our marketing clients, as well as an expanding client base.